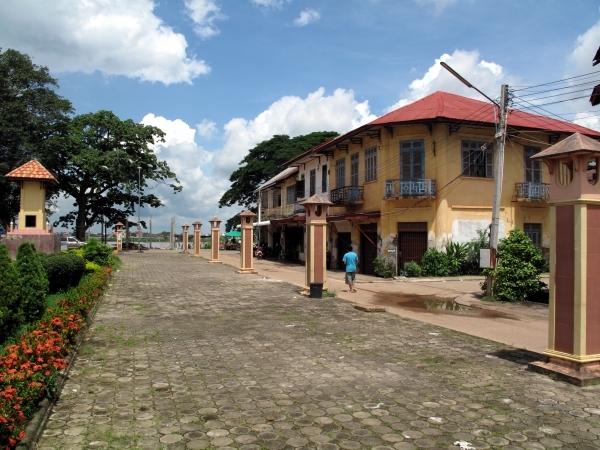 During the French colonial period, Tha Kaek was an important city, both for trade along the Mekong as well as a defensive outpost on the front lines with the Siamese, who weren't too happy giving up 'their' territory. 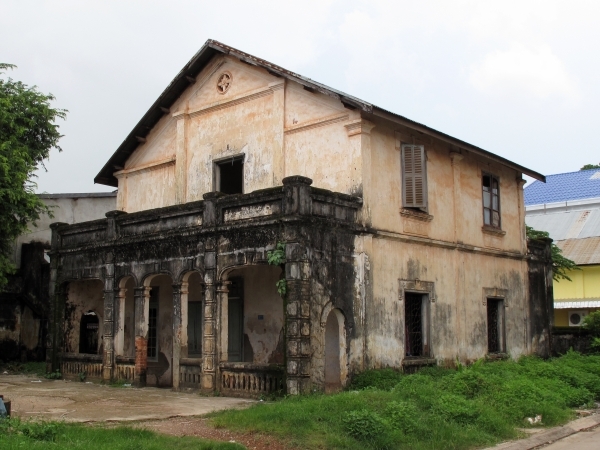 As a result of the strong French presence, there are a lot of French colonial style buildings around town from the late nineteenth and early twentieth centuries, so if you're interested in such things, a stroll around the old city area can be a pleasant way to pass some time. The old city was centered on a broad median plaza that stretched away from the river for a couple of blocks. Most of the interesting buildings are within five or six blocks of the plaza in either direction. You can easily make a loop walking down the riverfront, or better, one block away from the river, until you get to the end, then heading over one block further in and walking back. Most of the buildings right along the riverfront are not that interesting, and it would seem that many of them have already been replaced by newer buildings. Few of the buildings have been restored to any degree, although some have been modernized with aluminum doors and windows. The one exception is the Inthira Hotel, which has been built into an old shop-house, retaining as much of the old structure as possible. If you're not staying there, you may want to stop in for a coffee or a meal to have a look.